Now that Heart of Yoga School has completed her work in Carrboro, I see a simple outdoor paradise here inside Nature for music, yoga, storytelling, stargazing, bonfires, and the continued connection we offered at HoYS; but now instead of talking about being part of Nature while sitting inside an office building, we can practice while being inside of her charming embrace. 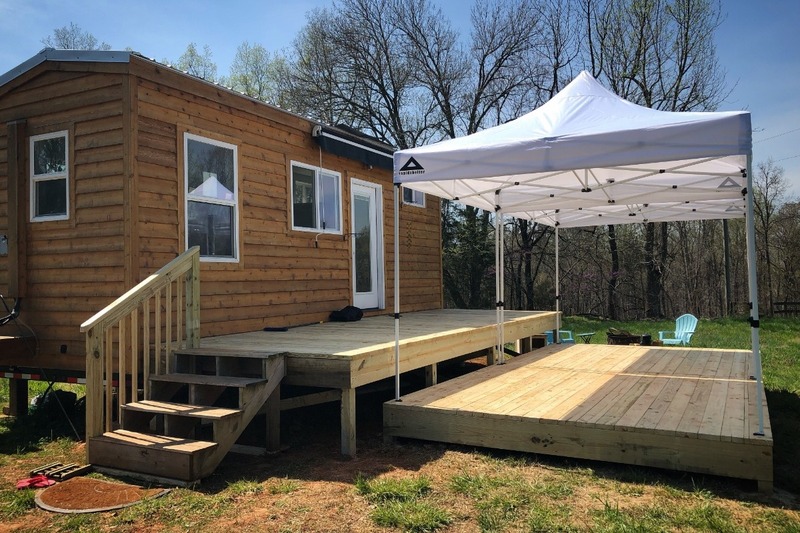 The Yoga Deck has been built, the canopies are up, and now I'd like to do a little landscaping and create pathways from parking to the deck and all around the deck to keep us as mud free as possible during the rainy seasons. A dry area for shoes is also needed. I'd also like to get some extra seating for the firepit. By the end of May the tent platforms and guest bathroom should be ready. This is all a huge undertaking happening on pure faith alone. Any support or contribution you can offer will be greatly appreciated!